The announcement could impact shops who work on vehicles mere mortals drive as well as those handling supercars. Trying to wrap your head around the rapidly changing vehicle technology? Learn more during the SEMA show in Las Vegas with “The Rules and Challenges of Structural Repair on Modern Vehicle Architecture.” The Nov. 1 session is part of the OEM Collision Repair Technology Summit within the Society of Collision Repair Specialists’ Repairer Driven Education Series Oct. 29-Nov. 2. Register here for individual RDE classes or the series pass package deal. 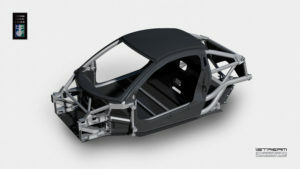 Gordon Murray Design said the iStream Superlight’s skeleton is aluminum tubing, while its panels are honeycomb carbon-fiber, saving up to 50 percent of the weight of “conventional stamped steel” body-in white. The aluminum would include inexpensive, “high recycled content aluminum alloys,” while the carbon fiber would be recycled, Gordon Murray Design wrote. The body-in-white would also have better corrosion resistance than “coated steel,” according to Gordon Murray Design. 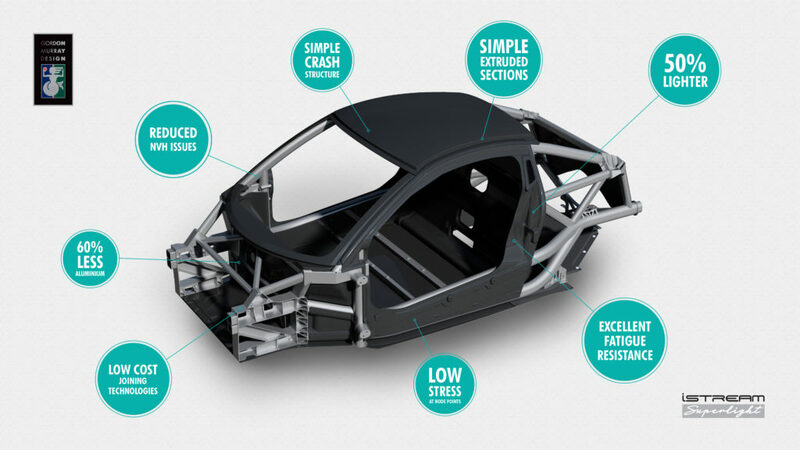 Its aluminum would have a “More efficient frame stiffness” because of the carbon fiber panels. The firm said distortion and production time would be cut through “Cold metal transfer welding,” and the “Carbon sandwich” design of the panels had a cycle time of a little more than a minute and a half.